Home > News & Evens > What Is the Different between CNC Turning and CNC Milling? CNC turning and CNC milling are methods of CNC machining. They are similar but not the same. We are going to talk about these 2 machining methods in the following article. CNC milling involves programming of the G-codes into the machine for designating the function to be performed by the machine. We can cut and shape the material block into specified part by the mills then drill and turn along the axes, all these are set by programming. CNC milling is controlled by computer or manual supersedes which are situated on the front of the machine. The process is very universal, and most of geometries can be machined by CNC milling. CNC turning is a manufacturing process in which bars of material are held in a chuck and rotated while a tool is fed to the piece to remove material to create the desired shape. 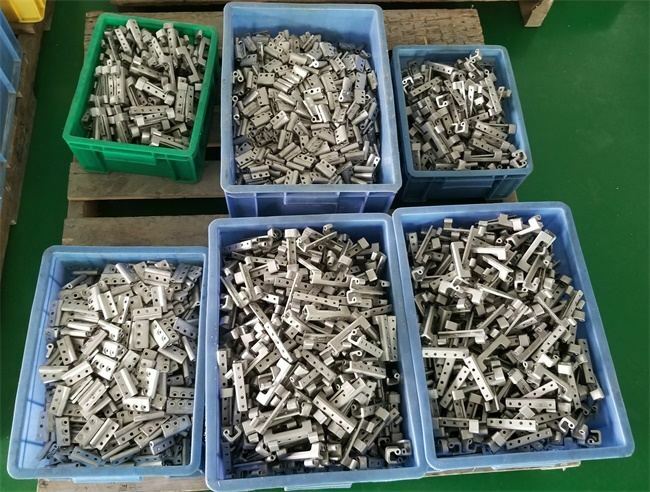 Comparing to CNC milling, CNC turning can perform higher efficiency and tighter machining tolerance when processing the parts in bar or pillar shape. Multi-Axis machines are applied commonly nowadays. We can complete competitive part in one set-up in some cases. TEAM Rapid offers low to high volume CNC Machining Services. CNC turning and CNC milling are processes that used commonly in building CNC prototyping and low volume manufacturing. Our clients are satisfied with our services and quality. Are you working on a new machining project? Contact us at sales@teamrapidtooling.com today and get a free quote.